Come along for a free Heartland Tai Chi School event in Gheluvelt Park, Barbourne, Worcester on Sunday, 4th June at 10.30am. We'll meet by the tennis courts. 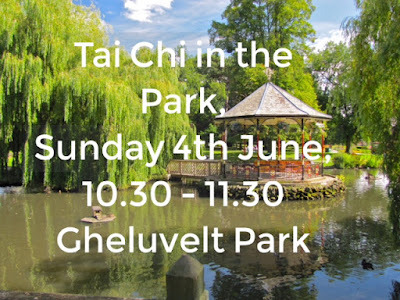 Hopefully the sun will be shining and we'll play some Tai Chi together in the summer air.